I am a little concerned the PVs haven't shown much footage. 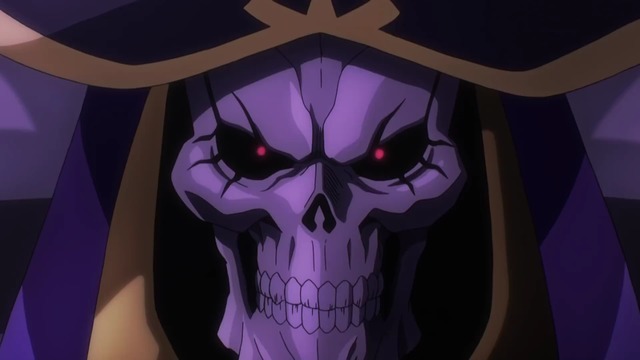 Overlord has really grown on me for reasons I'm not entirely sure about. Like, I'm even buying the hardback novels. I still can't quite call it "good" in the sense I'd use for something I might recommend to others, but I do find it entertaining and interesting. 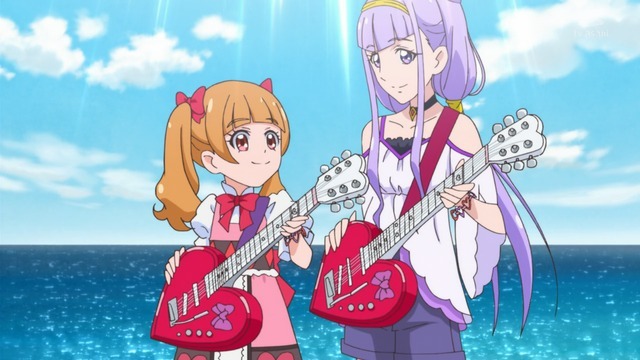 Its two previous anime seasons did suffer from the long break between the cours, though, particularly as the second season focused heavily on new or previously minor characters instead of the main cast. I'm hoping Mutusko turns out to be a five-tool player. It's going to be a while before we get more Saaya and Homare stories, isn't it. Hugtto! Precure added a shrimpy Cure and a non-human Cure and I am totally good with it. That in and of itself ought to tell you something about how good it has been, presuming you're familiar with my somewhat demanding standards when it comes to Cures. Additionally, Yukarin as RUR-9500 is, of course, a treasure, but I'm also a fan of Emiru's somewhat silly speech patterns. 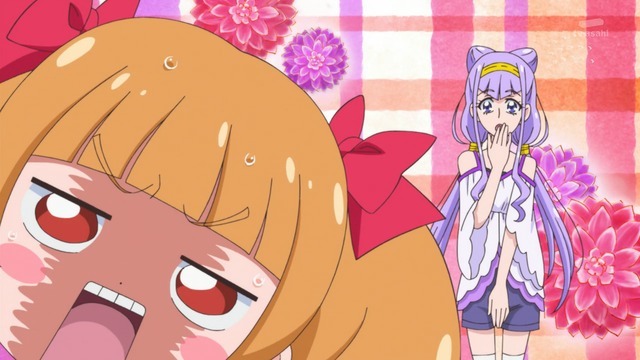 Compared to other shrimpy Cures such as Ako or Aguri, Emiru is tops. It just don't look great. 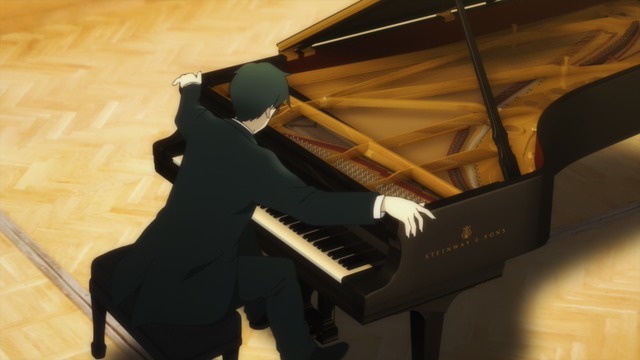 I'm not at all certain whether Piano no Mori will run for 12 episodes or 24. I've seen references to both, and the production values displayed over the course of the season haven't exactly impressed me, so I would not be at all surprised if it simply cuts off at 12 episodes in the middle of a plot arc with no resolution. (I've only seen 11 episodes at this point.) I thought this was a fairly promising show based on its first episode, but it hasn't held my attention as much as I thought it would. Really, I would have stopped watching long ago if it didn't have the Gainax name attached to it. Seeing as how Gainax hasn't really been Gainax for a long time, there's a good chance I'll stop watching now anyway, unless all these new shows tank. This is a dream sequence. 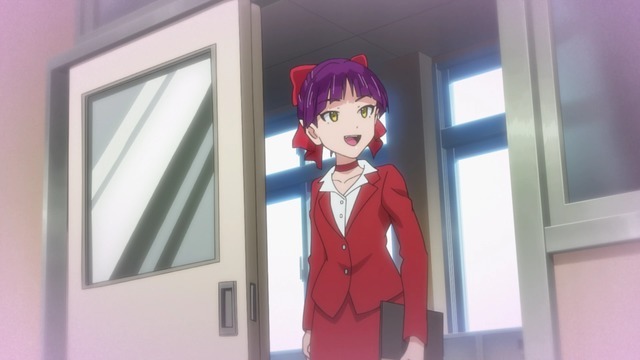 Neko Musume doesn't really have more than one outfit. GeGeGe no Kitarou is still running. I plan to continue watching it for the same reasons as before. Detective Conan is Detective Conan. And when I say lewd, I mean SUPER LEWD. Cinderella Girls Gekijou 3rd Season and One Room 2 are both shorts. Assuming they're like their predecessors, the Cinderella Girls shorts will be mildly amusing and the One Room bits will be lewd. 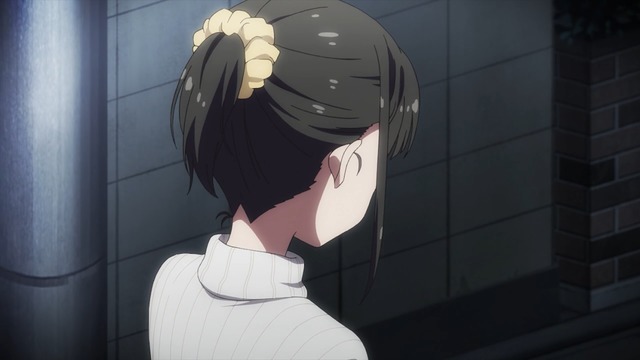 In the first season of One Room, I liked the first girl best (and it seems she's back for the second season), the third girl had the most engaging motivations, and the middle arc with the visiting kid sister was entirely dead weight.